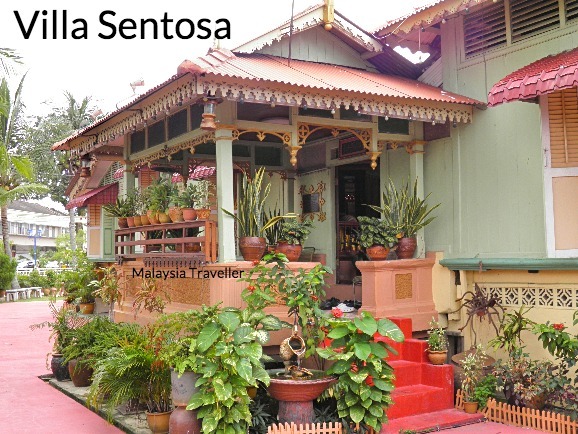 Villa Sentosa Melaka is a fine example of a traditional Malay village house located in Kampung Morten, on the banks of the Malacca River within walking distance of the historic UNESCO World Heritage district of Melaka City. 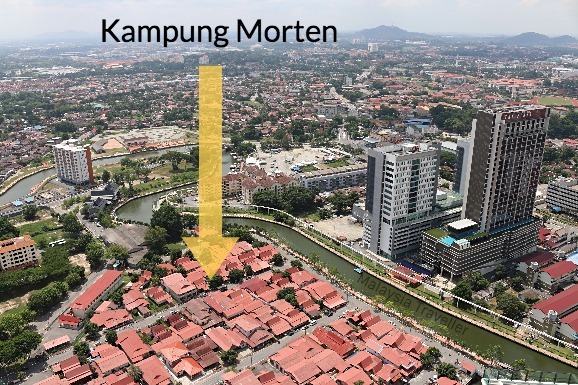 Kampung Morten has over 50 traditional old Malay houses, all with red zinc rooftops as you can see in the foreground of this aerial shot, taken from The Shore Sky Tower. The village was named after Frederick Joseph Morten, a colonial British administrator who assisted the resettlement of the villagers to this area in the 1920s. 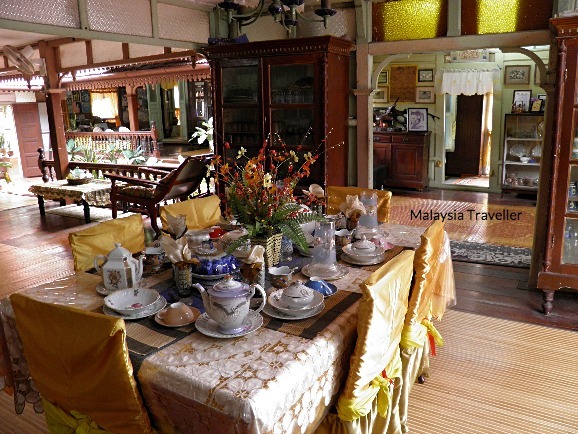 Villa Sentosa is perhaps the most attractive and best preserved of all the houses in Kampung Morten and it now serves as a private museum and is open to the public. 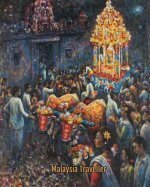 It is known as The Malay Living Museum. I have been there twice. The first time the kindly old lady of the house, Mrs. Fatimah, showed us around and the second time the host was Mr. Ibrahim, a very nice gentleman whose grandfather was one of the founders of the village. 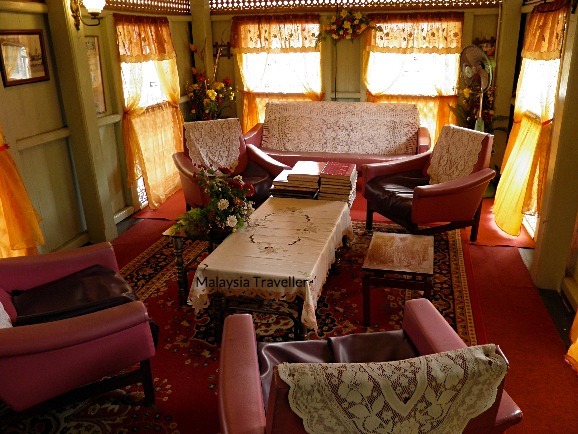 They both had many stories to tell and proudly showed off the antique furniture, tableware, historic artefacts and vintage photos of family members. 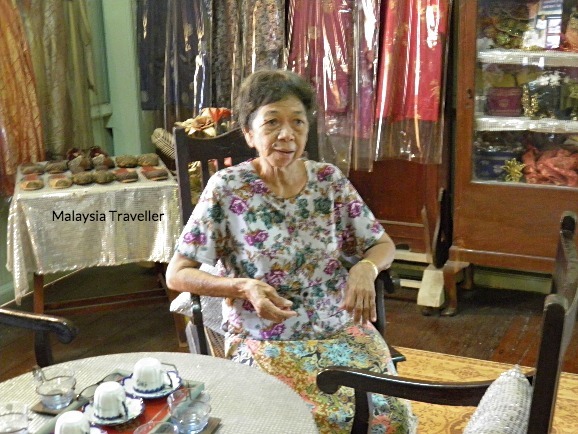 Many VIPs such as politicians and even Malaysian royalty have toured the property over the years. You will be asked to sign a visitors’ book and you will see a stack of old visitor books going back to the 1960s. The house itself is made up of five interconnected pavilions surrounding an open air courtyard, a design which helps to keep the house cool while creating a cosy atmosphere for the residents. The wooden building is raised on stilts to avoid flooding and keep out unwanted creatures. It is very well preserved but the kitchen section was damaged by termites some years ago and was replaced by a brick structure with a tiled floor. 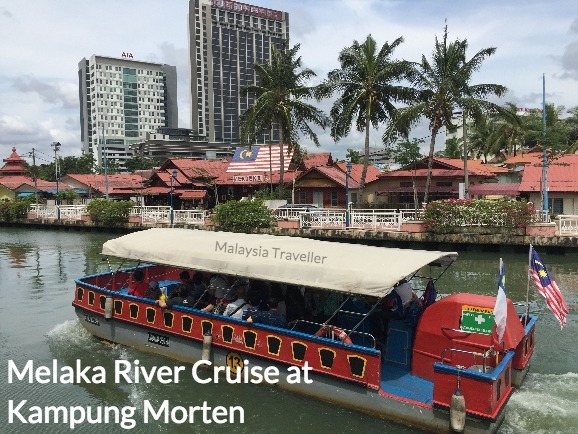 f you take the Melaka River Cruise you will pass in front of the house but you cannot get off here. 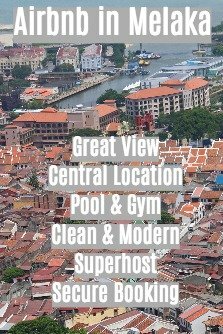 Villa Sentosa is open to visitors every day from 9am to 6pm except Friday when it is open from 2pm to 6pm. There is no entrance fee but visitors are invited to leave something in the donation box to pay for the upkeep. Please give generously as it would be a shame if this place had to close down due to lack of funds.